Make an entrance in this gorgeous fit and flare style EW119127 from Ellie Wilde. This dress has a fitted crepe bodice with a V-neckline and a lace up back. A thin, beaded belt defines the waistline, before transitioning into a rich jacquard fabric. 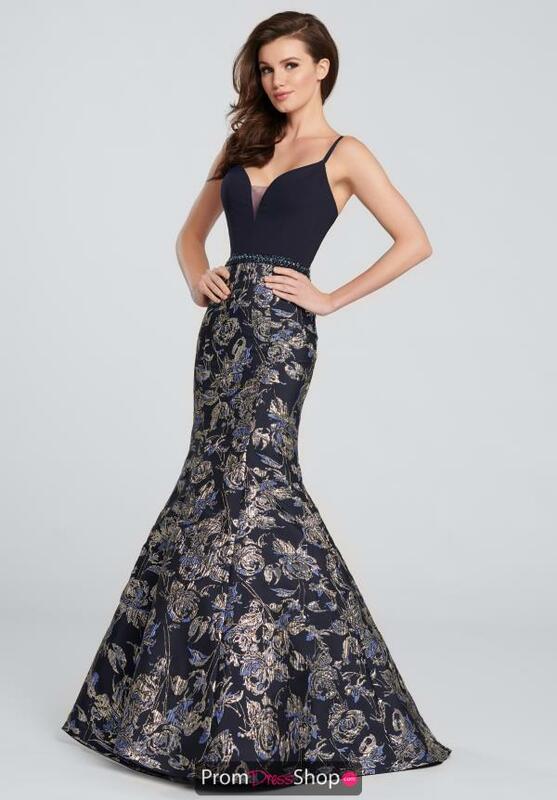 The skirt hugs your curves, giving you that hourglass figure before flaring out into a dramatic mermaid skirt.